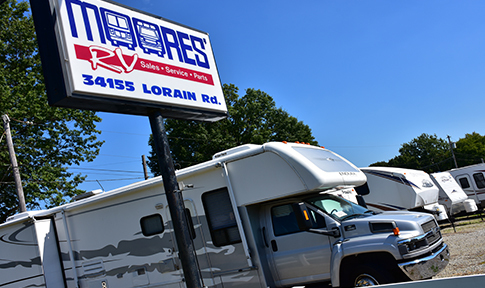 We here, at Moore’s RV, are proud to be much more than just a RV dealership. We offer many other services and deals to help you in every step of purchasing one of our amazing motorhomes, fifth wheels, travel trailers, and more! Let’s take a look at just what you can get from us just by being one of our customers. Find out everything you will get when you purchase an RV from us! Complete Systems Check and Prep: Whether you purchase a new or used, and still under warranty, RV, you can have the confidence that every model has been through a complete check up to make sure that everything on the RV is properly working. New Battery Installation: We don’t want you driving off the lot with an old battery that has been sitting for months at a time, so we will install a brand new battery when you purchase your RV. RV Show-Through: Before you actually leave with your new recreational vehicle, you will go on a walkthrough of the camper with one of our certified techs. They will show you everything about your new RV, so you feel completely comfortable. 30-Day Warranty: If anytime we fail to see something that is wrong with one of our units, you can bring it back in, and we will be sure to take care of everything to see that it is fixed properly. Starter Kit: As an extra service, we will give you a starter kit that comes with everything you need to be completely prepared for your first trip to the campground. If you are packed and ready to go, you could even head out directly from our dealership! As you can see, we like to take special care of not only our RVs but also our customers. Contact us or come by our location today to find out how you can get into one of our new or used RVs and start enjoy the RVing life.